Many people make a big deal out of fresh pasta, and rightly so. It is almost magical how with just flour and eggs and a simple sauce you can make an absolutely delicious meal that will impress everyone. For a long time, I was hesitant to even try making my own. The process seemed shrouded in mystery, needing special equipment and ingredients or an Italian grandmother to show you the ropes. I’m here to tell you that you don’t need any of that! Making pasta is easy and fun, especially if you have company or kids willing to roll their sleeves up and join in! Before we get into the recipe, here are a few pro tips. 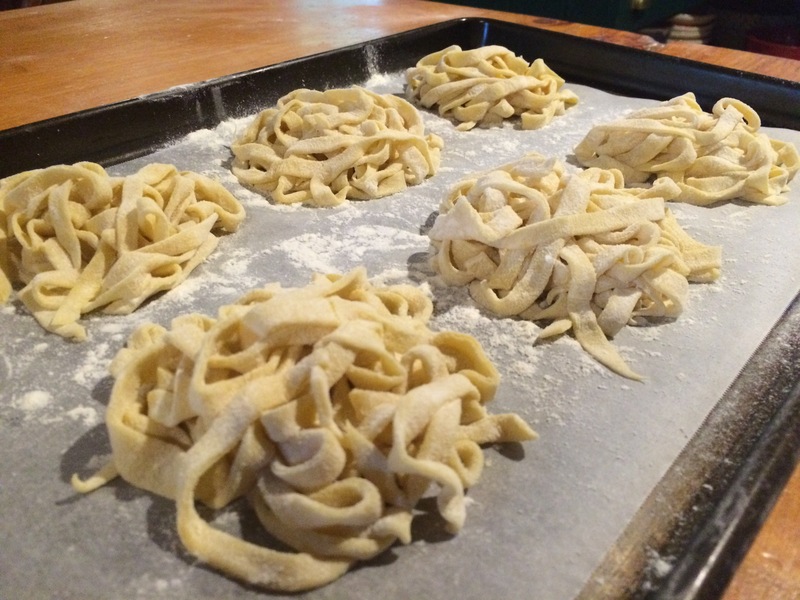 Pasta making is done in two stages: making the dough and shaping the dough. 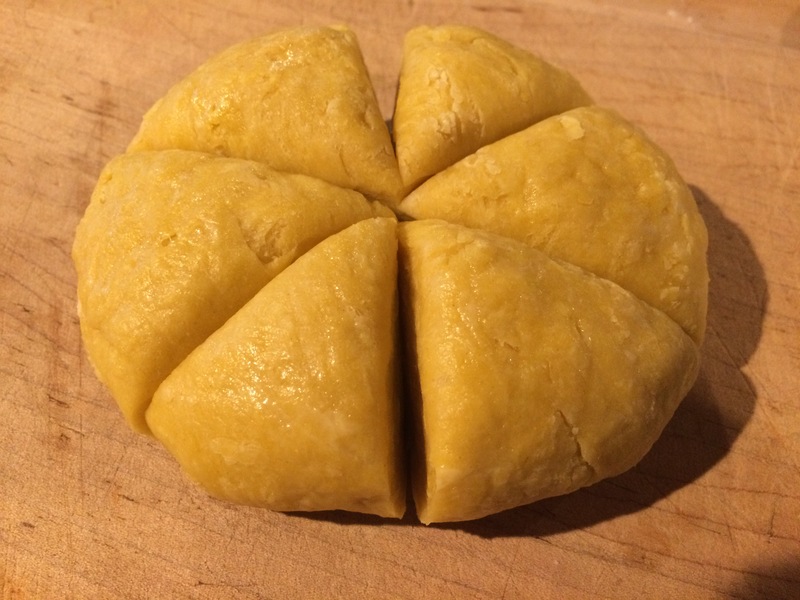 You can make the dough up to a whole day ahead of time so it is ready to pull out at a dinner party or before dinner to let your kids shape it like playdough. Also, once the pasta is finished, you can freeze it and pull it out whenever you want. Just drop the frozen pasta in boiling water, give it a gentle stir, and you will have perfect, homemade pasta ready in about 3-4 minutes! Combine ingredients in a bowl and mix together with your hands. 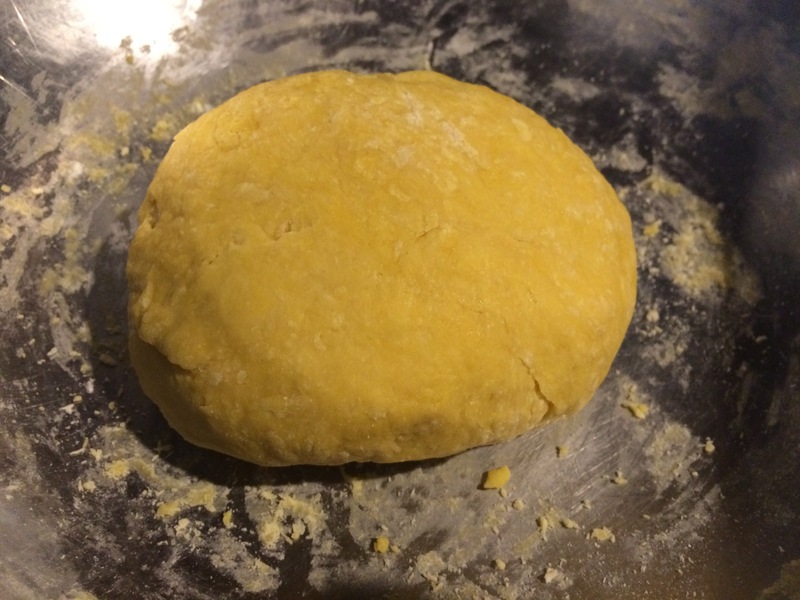 Knead a few times until the dough is almost completely combined. Shape into a ball, wrap in plastic and place in the refrigerator at least one hour and up to one day. Remove the pasta from the refrigerator, and cut it into six equal wedges, just like cutting a pie. Remove one wedge and cover the rest with a towel so they don’t dry out. If you have a fancy pasta rolling machine, by all means break it out now. If you don’t, like me, you can do it the way it has been done for centuries, with a rolling pin. 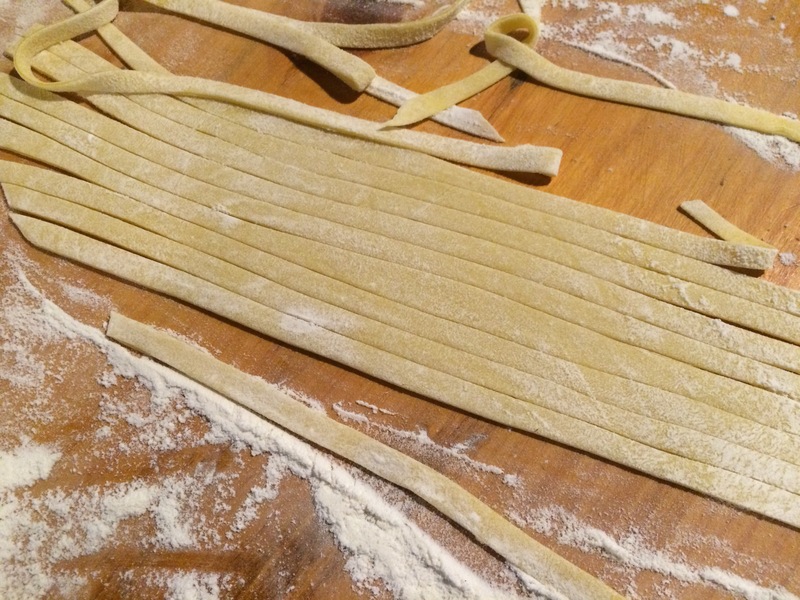 Simply place your pasta on a lightly floured surface, dust the pasta and the pin with more flour and roll it out until you have a long, thin sheet. Now all you have to do is cut it. Using a pizza wheel or a knife, cut long, thin (or thick) strips, or you can get creative! There is literally no end to the variations you can make in shape. 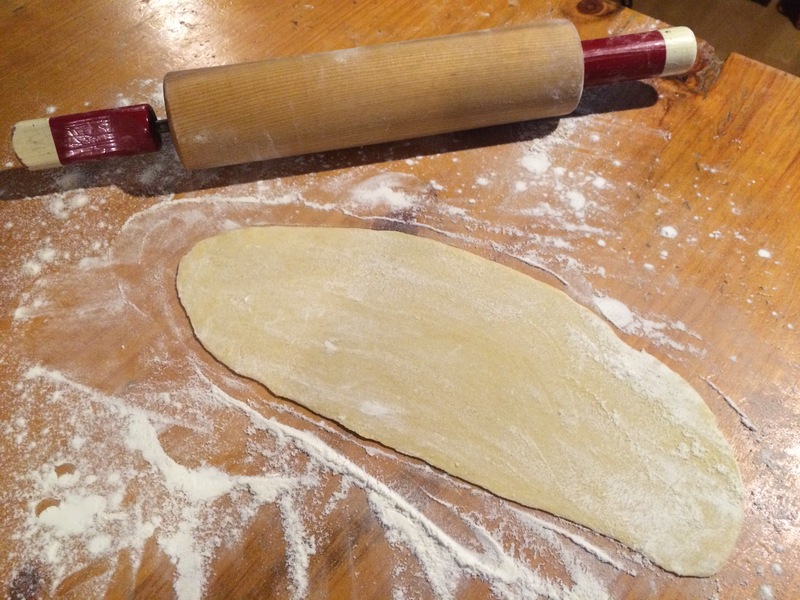 To make ravioli, simply cut out circles and fold over a dot of filling in the center. You can use your leftover egg white to seal them shut. 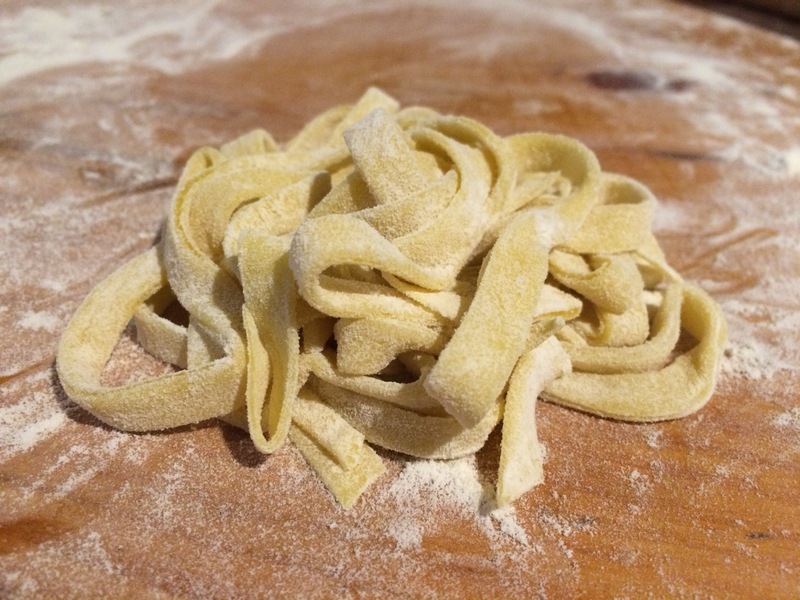 For pappardelle, make really wide noodles. Feeling lazy? Just square off the ends and you have sheets for lasagna! I love this recipe especially the how to. I wanna see the finished product! 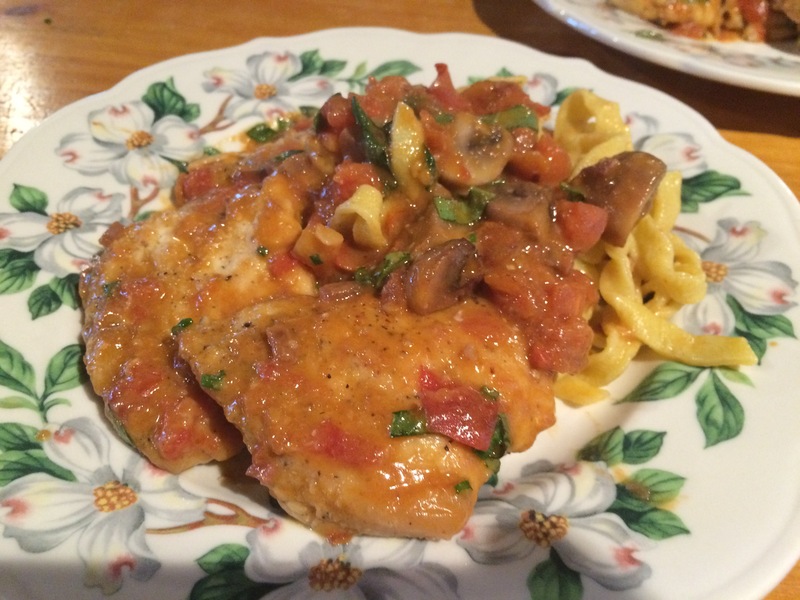 Wordwatersblog, I added a picture of the chicken scallopini I made so you could see the finished product. It was delicious!